Aristotle was an ancient Greek philosopher and scientist who is widely considered to be one of the greatest thinkers in history. Moreover, along with Plato, he is considered the “Father of Western Philosophy”. During his lifetime, Aristotle wrote extensively making noteworthy contributions to numerous fields including physical sciences such as astronomy, anatomy, embryology, geology, geography, meteorology, zoology and physics. In the field of philosophy, Aristotle wrote about ethics, aesthetics government, politics, metaphysics, economics, rhetoric, psychology and theology. He also studied fine arts making significant contributions to subjects such as literature, poetry, drama and rhetoric. 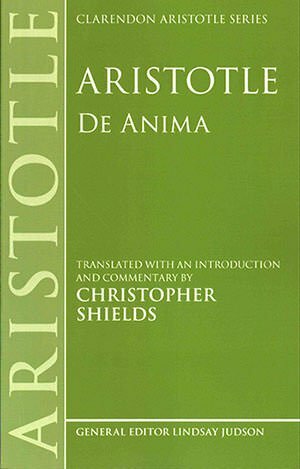 In many of these numerous fields, the works of Aristotle had an immense influence for almost two millennia making him one of the most influential people in the history of mankind. Moreover, Aristotle continues to influence some of these fields even in the modern era. Know more about the contributions of Aristotle through his 10 major accomplishments. In the western world, Aristotle was the first to conduct a formal study of logic and his system is today known as term logic, syllogistic logic or Aristotelian logic. 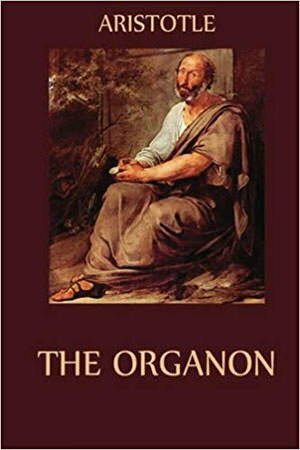 The logical works of Aristotle are collected in six texts together known as the Organon (“instrument”). In one of these texts, titled Categories, Aristotle gives ten words which one should inquire in order to gain knowledge about a subject: substance, quantity, quality, relation, place, time, situation, condition, action and passion. The most prominent aspect of Aristotelian logic is the syllogism, the classic example of which is as follows: All men are mortal; Socrates is a man; therefore, Socrates is mortal. 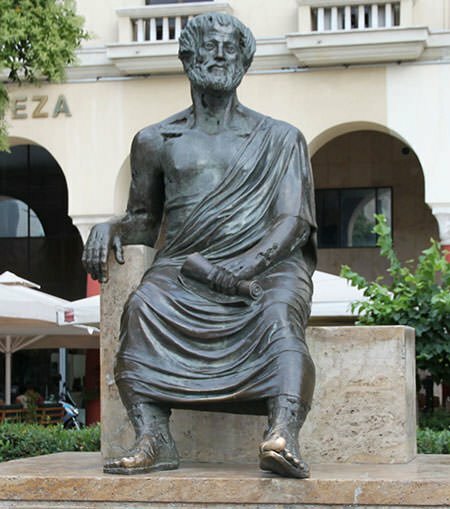 Aristotelian logic dominated the field of logic for 2000 years and was widely used in mathematics and science until it was ultimately replaced by modern propositional and predicate logic in the early nineteenth century. Consequently, Aristotle is widely regarded as the father of the field of logic. Though other western philosophers have also remarked on various flora and fauna, Aristotle was the first person to study biology systematically. Hence he may be considered the first biologist in the western tradition. Moreover, Aristotle’s method resembles the style of science used by modern biologists with systematic data collection, discovery of patterns and inference of possible explanations from these. In his works, Aristotle names around 500 species of bird, mammal and fish; he distinguishes dozens of insects and other invertebrates; and describes the internal anatomy of over a hundred animals, of which he dissected around 35. He placed animals in groups according to the features that they shared and was able to identify 11 search groups, which he called genus. Moreover, he was the first to classify animals based on their habitat: such as land, water and aerial animals. Building upon the works of earlier philosophers, Aristotle wrote one of the earliest comprehensive texts in psychology. Titled De Anima (On The Soul), the focus of the text is not spiritual but bio-psychological, the study of psychology within a biological framework. The term soul in the text may be better translated as life-force. According to Aristotle, animals and plants also have souls like humans. Plants have a vegetative soul, which comprises the powers of growth, nutrition and reproduction. In addition to this, animals have a sensitive soul, which comprises the powers of perception and locomotion. In addition to the above two, humans also possess a rational soul, which comprises of the powers of reason and thought. Aristotle was one of the first to examine the impulses that drove life stating that the urge to reproduce (‘Libido’) was the overriding impulse of all living things and this was derived from the vegetative or plant soul. Alongside libido, human actions were also determined by ‘Id’ and ‘Ego’. Aristotle’s work in psychology was unchallenged for many years and it determined the history of the subject. Moreover, many of his proposals continue to influence modern psychologists. Metaphysics may be defined as a branch of philosophy which deals with the first principles of things, including abstract concepts such as being, knowing, identity, time and space. The word comes from a later compilation of Aristotle’s works which we now know by the title Metaphysics. In Metaphysics, Aristotle examines universal principles of being, the abstract qualities of existence itself. He rejects Plato’s Theory of Forms, according to which everything in the world was an imperfect manifestation of an ideal form. Aristotle considered this theory to be poetic and instead made his metaphysical deductions on the basis of science and empiricism. The primary focus of Aristotle in Metaphysics is the nature of existence; how things exist while undergoing change in the natural world; and how this world can be understood. 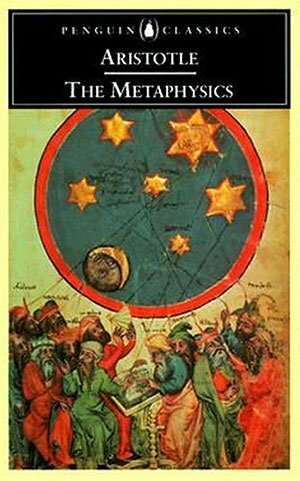 The Metaphysics is regarded as one of the greatest philosophical works. Apart from being a hugely influential work in the west for centuries, it also had an immense influence on medieval Muslim philosophers. Aristotle was perhaps the first person to make critical observations about the slow rate of geological change. He was one of the first to develop an evidence-based concept regarding the rate at which there are physical changes on the earth. Aristotle may thus be regarded as an early geologist. He recognized that the surface of the earth had features that are not permanent. Thus heat might dry up lakes, deserts might become wet and volcanic eruptions could lead to the formation of islands. Moreover, even the sea and land could change forms with sea becoming land and vice versa. He noted that it is difficult for humans to realize these changes since they take place in a time frame that is many times longer than an average human lifespan. He also studied river deposits realizing that fossil seashells from rocks were similar to those found on the beach thus indicating that fossils were once living beings. Ethics is a branch of philosophy that involves systematizing, defending and recommending concepts of right and wrong conduct. It offers a rational response to the question of how humans should best live. Virtue Ethics is an approach to Ethics that emphasizes on individual’s character as the key element of ethical thinking rather than acting in order to bring about good consequences. Virtue Ethics originated with Socrates and was developed further by Plato and Aristotle. In the view of Aristotle, when a person acts in accordance with virtue he will do good and be content. On the other hand, doing wrong would lead to unhappiness, frustration, failed goals and a poor life. Therefore to lead a good life, it was essential for a person to act in accordance with virtue. 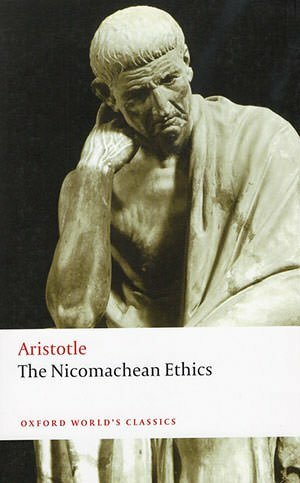 The Nicomachean Ethics is the best known work by Aristotle on ethics. It is widely considered as one of the most important philosophical works. Moreover, it had an immense impact in the west being critical in the development of modern philosophy as well as European law and theology. 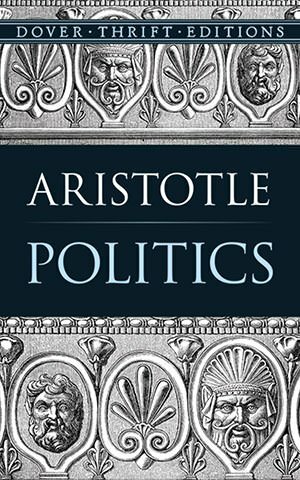 In addition to his work on ethics where he focuses on the individual, Aristotle also addressed the city in his work titled Politics. He considered the city to be a natural community. Moreover, he believed that the city was more important than the community, which in turn was more important than the individual. Prominent theories expressed in Politics include that “man is by nature a political animal” and the city existed to bring about the good life appropriate to such animals. The book also provides an analysis of the kinds of political community that existed in the time of Aristotle. It also shows how these political communities fall short of an ideal political system. 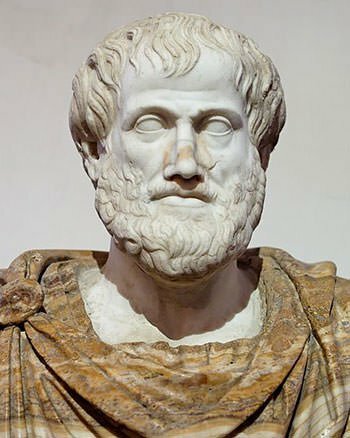 Views expressed by Aristotle in Politics on the connection between the well-being of the political community and its citizens; his belief that citizens must actively participate in politics if they are to be happy; and his analysis of what causes and prevents revolution; have been a source of inspiration for many contemporary theorists. 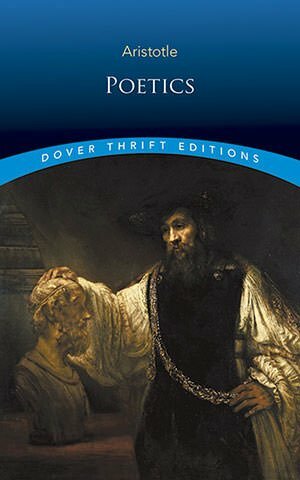 In Politics, Aristotle offers one of the earliest analysis of the origin of money. He states that it came into use for the sake of convenience as people agreed to deal in something that is intrinsically useful and easily applicable, like iron or silver. Aristotle’s predecessor Plato believed in a communist social order where material things are held in common. Aristotle argued against this stating that this would lead to animosity among the citizens as people would feel that they didn’t receive what was rightly theirs; and reward would not be proportionate to work. Also, in contrast to Plato, Aristotle defended the right to private property. He saw property rights as an incentive mechanism where individuals would keep the fruits of his labor. Aristotle saw wealth creation as a mean to the ends of truth and virtue. He was against wealth becoming an end in itself rather than something subservient to a higher purpose. He was also against retail and interest. He believed that retail trade was done to make profit rather than procuring essential things; while interest was unnatural as it made a gain out of the money itself, and not from its use. Poetics is a work by Aristotle that is the earliest surviving work of dramatic theory and also the first surviving western philosophical treatise to focus on literary theory, the systematic study of the nature of literature. In Poetics, Aristotle states that epic poetry, tragedy, comedy, dithyrambic poetry, painting, sculpture, music and dance are all fundamentally acts of mimesis (“imitation”). He then differentiates between imitations on the basis of: difference in music rhythm, harmony, meter and melody; difference of goodness in the characters; and difference in how the narrative is presented. Aristotle further categorizes imitation in their difference of objective. For example he states that comedy is a dramatic imitation of men worse than average while tragedy is a dramatic imitation of men better than average. Lastly, he differentiates between imitations in their manner of imitation: through narrative or character; through change or no change; and through drama or no drama. 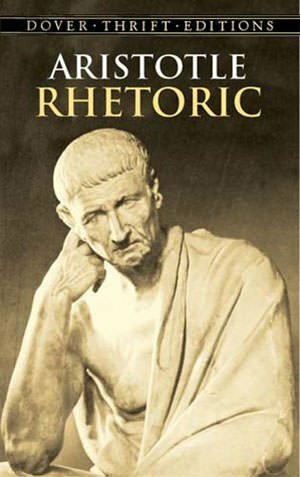 Through Rhetoric, a treatise on the art of persuasion, Aristotle is also credited with developing the basics of rhetoric and influencing the development of rhetorical theory from ancient through modern times. Aristotle’s Rhetoric proposes that a speaker may use three types of appeals to persuade his audience: ethos, an appeal to the speaker’s character; pathos, an appeal to the audience’s emotion; and logos, an appeal to logical reasoning. He also categorizes rhetoric into three genres: epideictic, ceremonial speeches dealing with praise or blame; forensic, judicial speeches over guilt or innocence; and deliberative, speeches calling on an audience to make a decision on an issue. Aristotle put forward many theories in physics which are today termed as Aristotelian Physics. These theories were regarded as the correct explanation of numerous phenomena for almost two millennia. It was only after the works of scientists like Copernicus, Galileo, Descartes and Newton that it was proved that Aristotelian Physics was neither correct nor viable. For example, Copernicus and Kepler established that the earth orbits the sun while Aristotle stated that the sun orbits the earth. Galileo’s telescope clearly showed mountains and craters on the moon, proving incorrect the Aristotelian idea of an incorruptibly perfect smooth Moon. Galileo’s experiments further proved that the rate at which something falls to earth does not depend on its mass while Aristotle believed that heavier objects fall to the earth faster than lighter ones.